Alongside the Xperia Z5 range, Sony announced a number of accessories to complement the high-end smartphones. 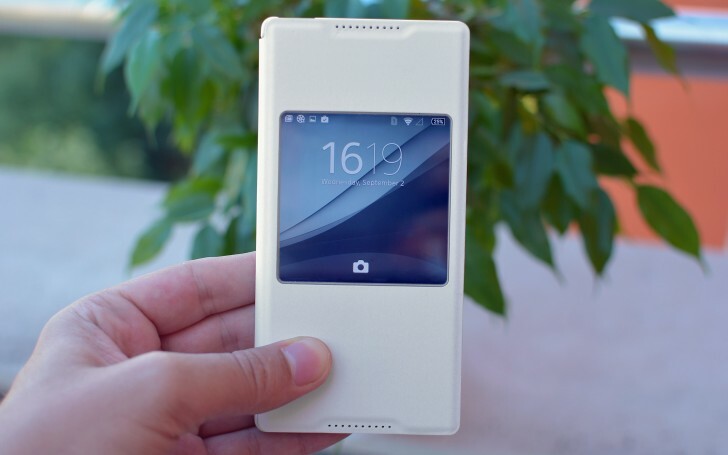 For starters, there are flip cover cases to fit each of the three devices, which come in the respective colors and feature a window to display the clock and notifications. A built-in NFC connection inside the case allows it to communicate with the device. This activates the case window interface and also offers you to download a theme matching the color of your case of choice. A minor gripe is that, the displays being LCD, they need to be lit up entirely whereas AMOLEDs could save some mAhs when kept in such a case and used mostly for voice calls. Additionally, the cases don’t seem overly keen to stay closed and have a tendency to flap around. The units we got to fiddle with were prototypes too, so who knows, the commercially available ones might be superior. A high-end headset model was presented as well, and in some markets it will be part of the bundle that comes with the smartphones. The Sony MDR-NC750 supports Hi Res Audio and active noise cancellation. The first is a broad set of standards for audio encoding and playback, which relies on a higher sampling rate (24bit/96kHz or 24bit/192kHz), compared to the 16bit/44.1kHz of the CD. The end-result is, well, higher sound quality. Notable examples of file formats that can handleHi Res Audio are .WAV, .FLAC, and ALAC. Active noise cancellation comes courtesy of a mic in each earbud, which captures ambient noise, sends it to the smartphone, the built-in software analyzes it and then sends back to your ears the music you’re listening to, accompanied by sound waves that cancel out the sound waves of the environment. More or less. Then comes the Bluetooth headset SBH54. Easily paired via NFC, the bundle consists of the clip-on amplifier/battery/remote control piece and a pair of headphones. An unpleasant rumor made the news earlier this year that Sony may be selling its smartphone division in a bid to cut losses. It was later denied by Sony Mobile CEO, him reportedly saying that they "will never ever sell or exit from the current mobile business". It is, however, the Xperia Z5 Premium that speaks loud and bold for Sony and puts the company back on the innovators' list. And before the nay-sayers jump up with their "who needs more than 1080p" mantra, let's have in mind that Sony may actually be on to something we're too short-sighted to spot at this point. Of course, vision and imagination are all nice things, but there's also practical considerations to have in mind, and most of those we cannot yet assess. 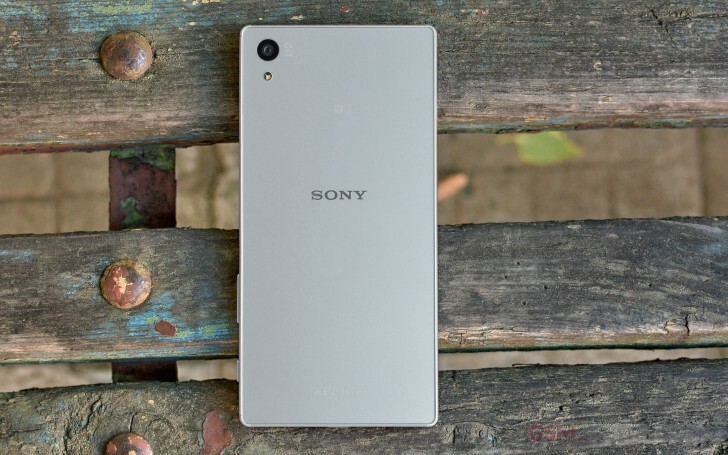 Yes, Sony promises two-day battery life on all three of the Xperia Z5s, but whose two days are those? Is the troubled Snapdragon 810 chipset the one that could happily churn out upwards of 8MP screen resolution to feed that gorgeous Premium display? Can the new camera actually deliver on the promise of better images, or should we say, is the processing up to the sensor's standards this time around? We'll need a lot more testing to answer all of these questions, but we'll most certainly take care of those, come review time.